JOIN THE FULL MOON CHORUS! 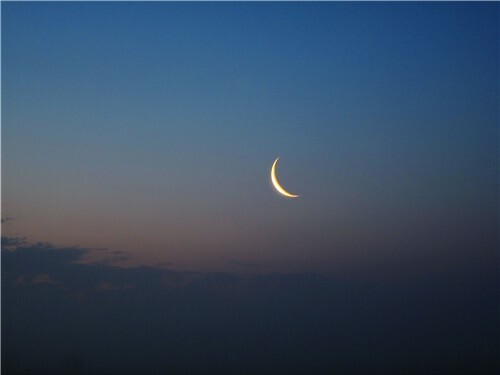 When the time of the new Moon approaches, I watch the sky in the early morning for that last sight of her as she prepares to rise with the Sun, soon to be lost in his bright arms. But in the evening, I mark the progress of the almost full Moon, as she sails off on her own. 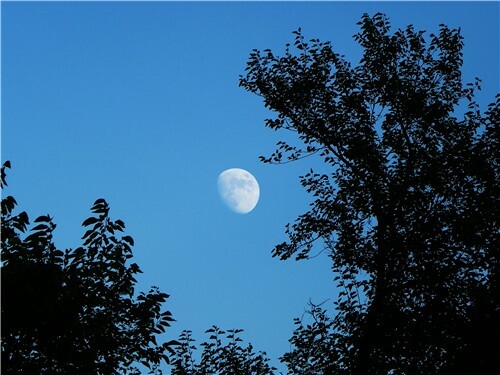 Saturday, August 29, the full Moon will culminate at 2:35 pm on the East Coast of North America. She will rise at 7:17 in New England, as the Sun sets. 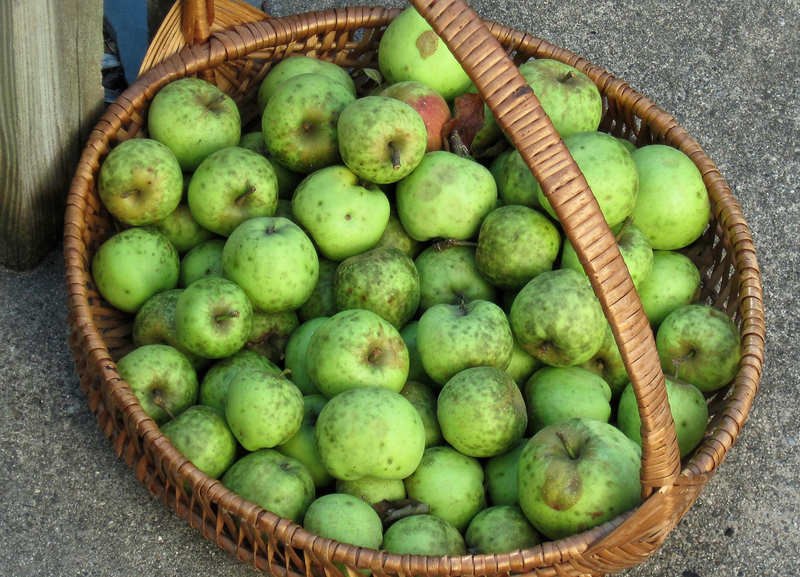 This is the full Moon of the month of Coll, Hazel, the dowser, the intuitive, the healer. The Moon will be in the sign of Pisces; the Sun is in Virgo. The Moon is in close company with the planet Neptune, while the Sun is cheek and jowl with Jupiter. Jupiter and Neptune are the planetary ‘rulers’ of the sign of Pisces. This gives a tremendous emphasis to Pisces, the sign of the Moon. It will mean this full Moon will express the energy of these two planets in opposition, just as the luminaries (Sin and Moon) are in opposition. And opposition begins in tension, but evolves into integration of different impulses and priorities. Both Virgo and Pisces have connection to healing, and especially to the diagnostic and intuitive aspect of healing. This would be an excellent time to take stock of your health and your relationship to your body, and to the planet, which is our larger body. The Moon is a mirror for each of us in the sky. As she enters Pisces Saturday afternoon, we might meditate on our health and the love and care we extend our own person. An opposition between the planets associated with Pisces, Jupiter and Neptune comes to full expression in this bright Moon in Pisces. The watery expression of Pisces and Neptune in Pisces can be put into earthy form with the Virgo Sun and Virgo Jupiter. We could say this is not only the fullest expression of the Moon’s cycle, but is also a culminating moment for the sign of Pisces….because the planetary rulers can each convey their contribution to this watery archetype. 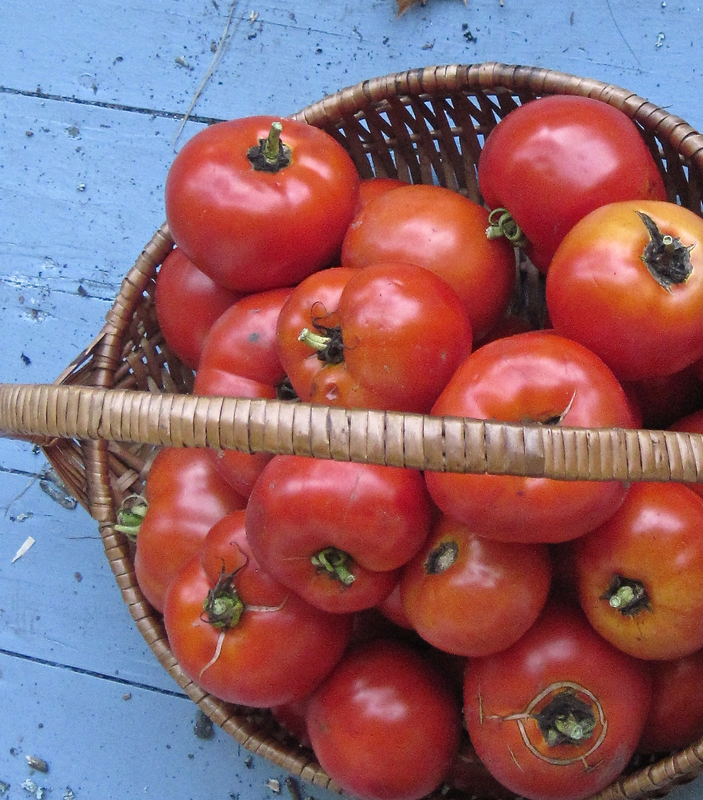 Virgo’s season is the time of the harvest, while Pisces’ season is early spring. We are at the transition point just before the equinox, where the change of season stirs around us. And with each full Moon, we get a hint of where all this began, as we prepare for autumn in the Northern Hemisphere, the full Moon in Pisces reminds us of the sweet hopes of early spring as she rises in the late summer sky. There is another pair of planets who will mark the character of this full Moon. Mars and Venus are conjunct in the sunny sign of Leo. Mars and Venus are a pair at this time though often seen as opposite forces. Venus attracts what she wants, Mars moves out into the world to get what he wants. Both are concerned with how we use our energy and our sexuality. At the full Moon they are singing in harmony adding charm and vital attraction to Moon’s powerful manifestation. Venus is moving in retrograde motion, i.e. backwards these days and Mars is moving in direct motion, and on September 1st they will form a perfect conjunction. 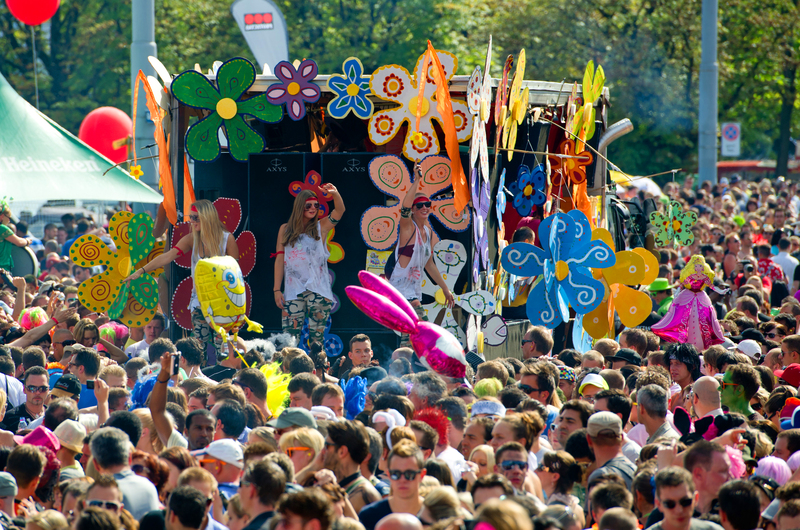 The Sabian Symbol for their meeting point is ‘A pageant, with its spectacular floats, moves along a street crowded with cheering people.’Keynote: The more or less sensational release of energies in a form dramatizing the unconscious aspirations of man’s primitive and instinctual nature. If you love Moonlore as much as I do, you will want to have the 2016 Lunar Calendar from The Lunar Press http://www.thelunapress! 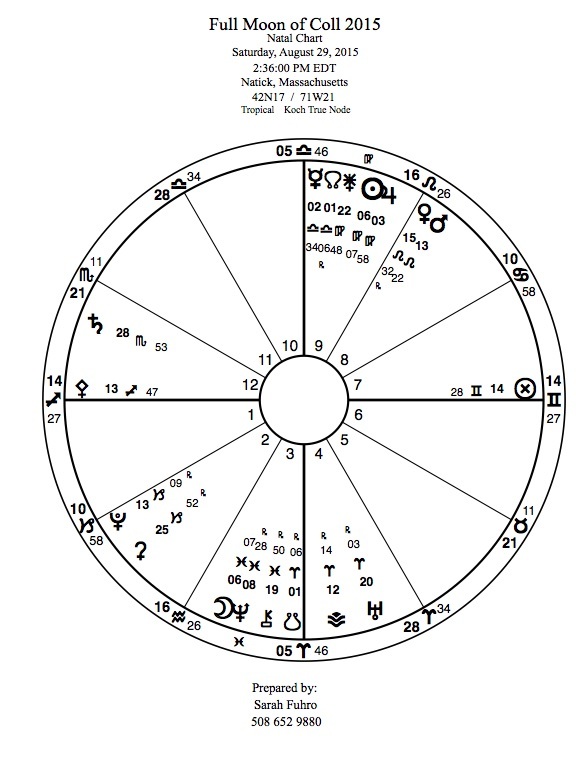 The new Moon in Leo begins today with a trine (120°) to Uranus, who always has a surprise, a turn in the road, an alternative viewpoint to offer. 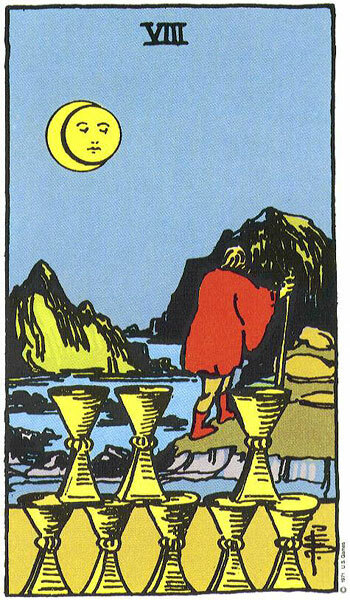 Sun and Moon are in their special place of reunion, of marriage, of birth, of starting over. Uranus is always focused on the future, and perhaps that is why he is so full of surprise! Lovely Venus is keeping them company. Perhaps the visual world has a special gift to offer in the way of beauty, expression of beauty, art, love. Venus is naturally at home in Leo, for Leo rules the heart and the issues of the heart. Leo also rules the spine, and heart and spine, love and courage are intertwined. Even the word ‘courage’ contains heart (cour). Venus is moving in reverse, giving her and us the opportunity to revisit Leonic issues of heart and soul. 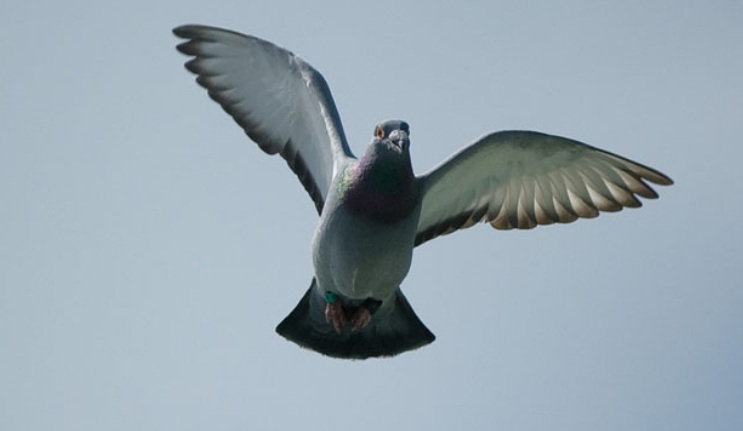 The Sabian Symbol for the degree of this new Moon is ‘A carrier pigeon fulfilling its mission. Spirituality in terms of training for mankind…World Server. ‘ And how are each of us involved in service to the World? Leo is often seen as most interested in self expression. Perhaps, this is one way we serve the world. When we are truly ourselves, and communicate that self to all around us, we are like the Sun…Leo’s ‘ruler’ who shines and offers light and growth and joy to the whole world. Sun, Moon, Venus and Uranus are all in fire signs: Leo and Aries. Saturn makes a square (90°) to the trio from a water sign, Scorpio. He might have a modifying effect on the flame of Leo and Aries. The meaning for his Sabian Symbol is ‘Love as a principle of redemption.’ Here is another side to the fiery nature of love, this is Love as action to intercede for those who may be lost in their own angry expression. Today I heard the story of two mothers, one whose son was murdered by the son of the other. They have become friends and partners in the work of trying to ‘intercede’ in the violence around them. Is that the Saturnic side of love for this Moon? This is the Hazel (Coll) Moon in the Celtic Lunar Calendar. It is a time of fiery intuition, yet the Hazel wand is the traditional tool to discover underground water. 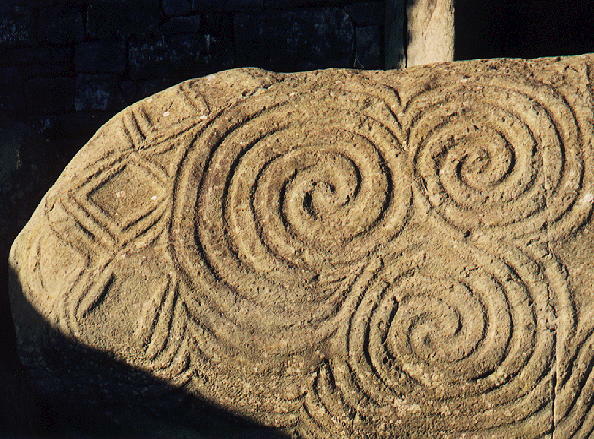 Here is the entrance stone to New Grange with its clue about the power of the water that runs under the earth’s surface, and the reverence our ancestors held for the pattern of these subterranean currents. We are now in a crisis of interruption of these veins and arteries with mining, fracking, and oil pipelines. As we search beyond the obvious for meaning, we discover the rich pleasures of what lies in our own deep water. Hazel grows near water, and there is a connection to poetic wisdom as well as intuition. The oldest animal in Celtic lore is the Salmon. His wisdom comes from the nuts of the Hazel which shade his pond. The nine nuts of poetic wisdom fell into the River Boyne where he lived, and he absorbed their inspiration. 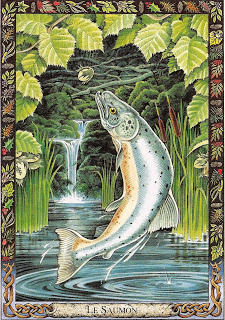 Here is the card for the Salmon from the Druid Animal Oracle, illustrated by Will Worthington. Hazel, Coll, tells us there is a connection between poetry, divination, meditation and mediation. The Druids were trained in all of these skills, and saw the connection between them. They were also the repository of measurement and calculation. 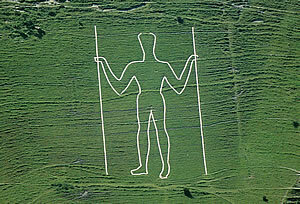 If we look at the Long Man of Wilmington, he holds two staves used to measure and dowse, much as the priests of Egypt were equipped with measuring rods to know the depth of the Nile. 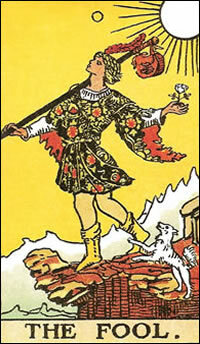 The Fool card shows the fool with this rod over his shoulder as he begins his journey into unknown territory. my eyes begin to tear. And this twisting, is it Ivy? Is it the Vine of the grape? Hazel wand can divine water. is to dowse, to witch, to twitch. So Coll finds me out, witches me. where the blue heron wades. Don’t let me drown in here. of Coll Moon’s tight snare.